Are you living in a small condo unit? Are you dreaming of a fabulous kitchen but just don't know how to fit it in your small condo space? I guess, that's really a problem but not with this compact kitchen design that I found online. 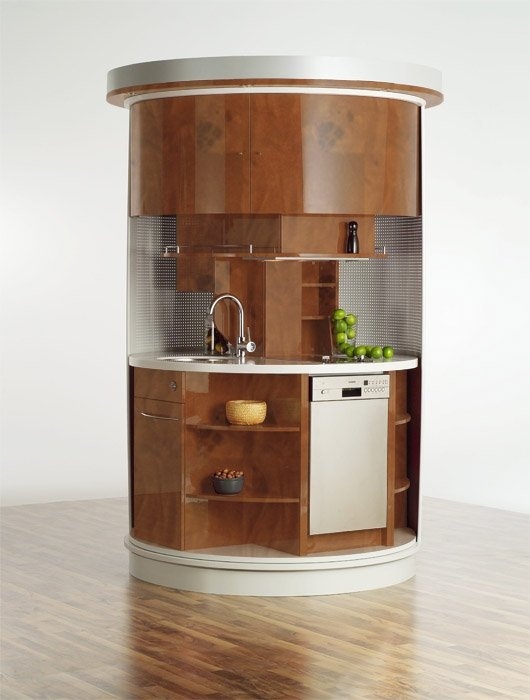 It comes in a circular shape and complete with all the basic amenities needed for a kitchen to be functional. This comes in different colors, too. It's easy to choose a color that would blend well with your overall kitchen color motif. This design is really a space saving idea. I think this compact kitchen design would be ideal for a small family and could very well fit in your condo unit.